Valentines Presley Penguin is a unique full coverage cross stitch chart measuring 66 stitches wide by 60 stitches high, and has been charted using 7 DMC colours. 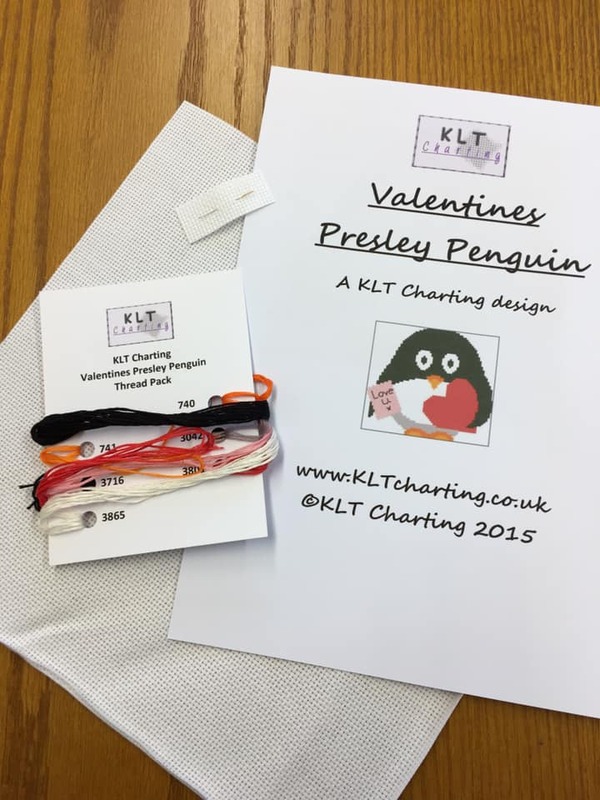 Paper copy of the Valentines Presley Penguin chart. 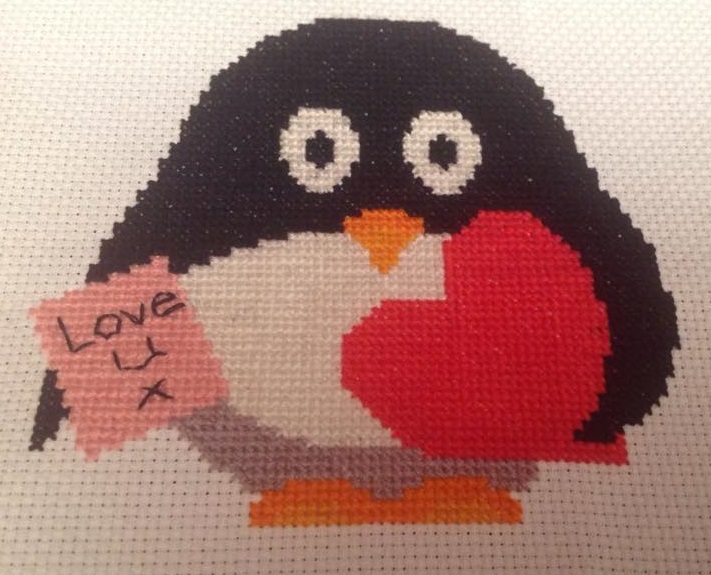 The second image was stitched by Lesley. 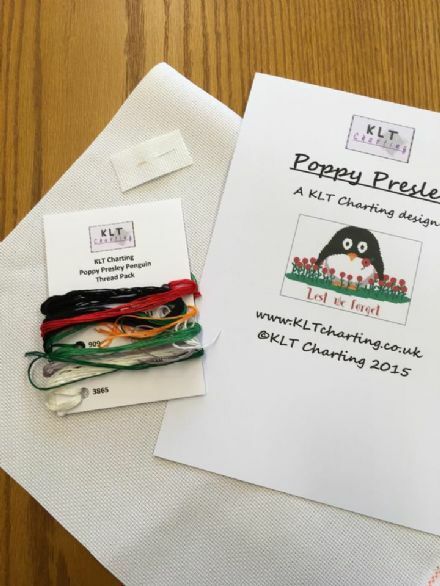 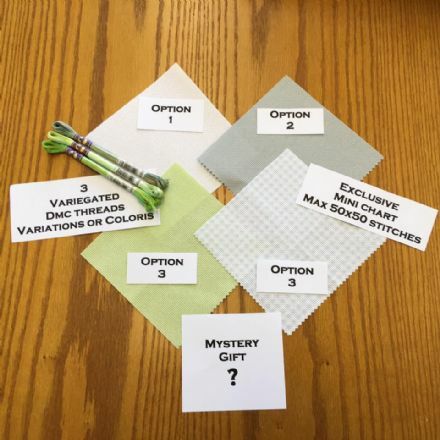 The third image is a computer generated preview of how the chart will look when stitched.